Millennials have long since stopped watching MTV, presenting a major problem for Viacom, which uses MTV to market its other youthful networks including Spike, Comedy Channel and VH1. NEW YORK (TheStreet) -- Remember when MTV was cool? It was the early-1980s, music videos had emerged at the intersection of technology and popular culture. Music videos were all the rage, and MTV was the hippest cable-TV channel on the planet. But nowadays, MTV is just one of many cable-TV and online channels competing for the eyes and ears of young people. Viacom's flagship network is no longer a cutting-edge source for music or entertainment. Viewership, especially among the 20-and-30-year-old Millennials that marketers covet, has been on a steep and steady decline. "MTV seems to have lost its allure," said Jaleesa Jones, 21, a communication studies major at the University of North Carolina in Chapel Hill, N.C. "TV is less popular now because we have so many other outlets to choose from, like Netflix (NFLX, Hulu and HBO Go." MTV's audience has been shrinking just as mobile viewing by Millennials has accelerated the move by marketers to spread more of their money on an assortment of Internet-based video channels. In 2013, an average of 542,000 persons ages 18-49 tuned in to MTV during prime-time hours, according to Nielsen. In 2014, that number dropped to 497,000 persons, and so far in 2015, it sits at 361,000 -- a 34% decline rom just two years ago, Nielsen data shows. MTV's declining audience presents a major problem for Viacom, which uses the network to market its other youthful networks including, Spike, Comedy Channel and VH1. No wonder that Viacom is reeling, its stock has lost 18% over the past 12 months. Earlier this week, Viacom said it would take a $785 million charge on a group of acquired re-runs including CSI, Entourage, and Community, all of which ran at one time on MTV. Stung by declining ad revenue, Viacom is laying off as many as 400 employees, part of a sweeping restructuring plan intended to save the company close to $350 million a year. The network's stumbling may have been inevitable, tastes change and newer brands tend to have greater appeal to younger audiences. MTV's problems have been complicated by questions as to whether Nielsen is accurately measuring viewing on mobile devices, a point that CEO Philippe Dauman has made into something of a personal campaign. "There's a tendency with Millennials to avoid establishing a relationship with a cable provider, at all costs," Joseph Abruzzo, chief exploration officer at Havas Media North America, said in a phone interview from New York. "Millennials aren't going to pay for shows they won't watch, and everything they want nowadays can be found online." That translates into less time watching linear television and more time on sites such as Google's (GOOG YouTube, Netflix, Facebook and VEVO, among many others. To win over Millennials, networks must offer programming that is at once edgy and well-produced. Reality television no longer draws. Some of the most-talked-about shows on Twitter include The Walking Dead on the AMC Networks (AMCX, Game of Thrones on Time Warner's (TWX HBO, Pretty Little Liars on Disney's (DIS ABC Family, and American Horror Story on 21st Century Fox's (FOXA FX network. "Traditional media must rethink their strategies in order to stay competitive," Michelle Lynn, chief insights officer of Dentsu Aegis Network Americas, said in a phone interview. "Everything is competing for your time today, and with mobile you can tap into anything...wherever and whenever." MTV's programming has struggled to capture Millennial audiences. Shows like Catfish, Broke A$$ Game Show, Awkward and Eye Candy are criticized for offering characters and plot lines that are juvenile, trashy or just plain vulgar. "People stay glued to the TV for Scandal or Empire," said the UNC student Jones, referencing shows on ABC and Fox. But what does MTV really have to offer these days? The channel hasn't had a major hit since Jersey Shore -- and hardly." Good news for ABC: According to recent Nielsen ratings, among adults 18-49 in homes with $100K+ annual income (in the non-sports numbers) the station ranks No. 1 this season. ABC has top-performing shows Modern Family, Grey's Anatomy and Scandal to thank for this success. Scandal is a popular political-thriller television series, starring Kerry Washington, which premiered in 2012. After four seasons, the show has garnered great interest across the U.S. and maintains a dedicated following of especially younger fans in the 18-49 demographic. Scandal follows a slew of political crimes in Washington, D.C., and furthermore educates viewers about racial tolerance issues in America today. Millennials looking for substance in a television series will be pleased with this one. 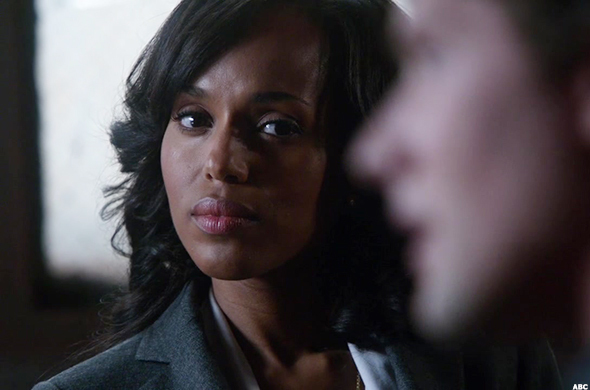 On September 25, 2014, Scandal drew 11.96 million viewers during its season four premiere. 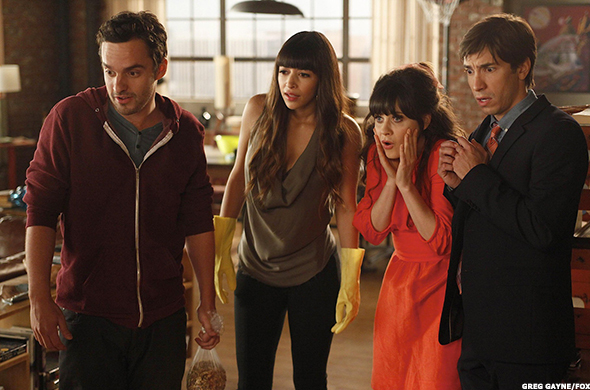 The possibility of a fifth season remains up in the air until ABC confirms anything. This hit television sitcom, which originally aired on NBC from 1994 to 2004, recently made a resurgence online thanks to digital streaming giant Netflix. 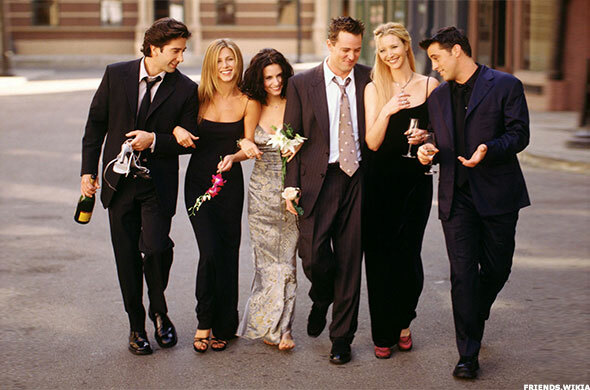 While on air, the show consistently led in the Nielsen ratings, and it had a cast including Jennifer Aniston, Courtney Cox and Matthew Perry. Netflix added all 10 seasons of Friends to their streaming service in the U.S. at the beginning of 2015, attracting the already-large audience of Millennials using the Internet as an entertainment source. The show, which follows the lives of a group of friends in their mid-20s, translates well for a younger audience and is a throwback to life in Manhattan before the turn of the twenty-first century. With over 86 hours of Friends episodes online, Millennials can binge watch for days. This online series appears to be another winner for streaming-giant Netflix. Unbreakable Kimmy Schmidt, a U.S. sitcom created by Tina Fey and Robert Carlock, was originally set to air on NBC but instead was bought by Netflix to be exclusively streamed online. The plot follows a young woman in her mid-20s as she travels throughout New York City and manages to put her life back together. The comedy had social media buzzing after the first season was released in early 2015, drawing interest from a majority Millennial audience. 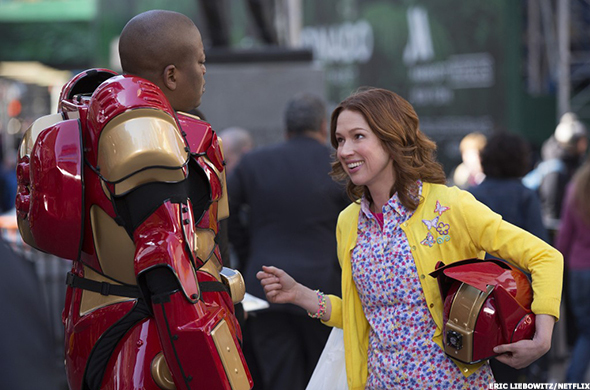 Unbreakable Kimmy Schmidt quickly achieved a mainstream following on the Internet today and sets a precedent for more shows to follow on other streaming services in the future, for example on Hulu, Amazon's (AMZN Instant Video and the new HBO Now, from Time Warner's (TWX HBO. Fox's New Girl, starring Zooey Deschanel, premiered in 2011 and was just recently renewed for its fifth season in March 2015. The show follows the life of an "adorkable" teacher in California who finds herself living with a dysfunctional group of guys. This comedy was an instant hit -- especially among Millennials looking for a good laugh. But the show has also been in the news recently for its more serious segments where it discussed racial profiling and police brutality, joining the larger conversation of a growing political debate. The series will celebrate its 100th episode during the upcoming 2015-2016 season, which is also said to feature a slew of guest stars including Fred Armisen and Ally Maki. 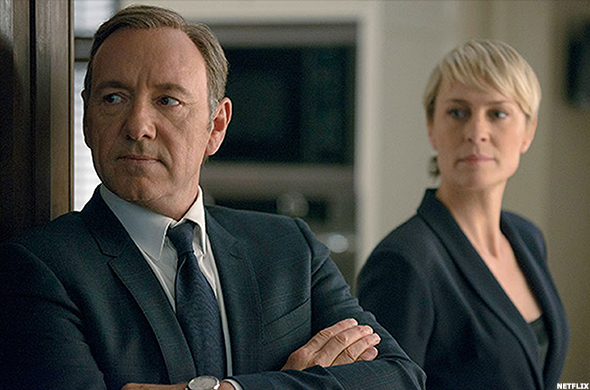 House of Cards has been another success story for Netflix. This political drama series launched online in early 2013, and the fourth season has already been renewed, which will air in 2016. Starring Kevin Spacey, Robin Wright and Michael Kelly, the show is set in Washington D.C. and follows the life of a political candidate looking for more power. House of Cards is the first online-only Web television series to receive major Emmy nominations, which it received shortly after the first season. For Millennials, this is binge-worthy entertainment. Netflix recently announced that subscribers watched over 10 billion hours of programming last quarter, including House of Cards, up from 6.5 billion hours a year ago.